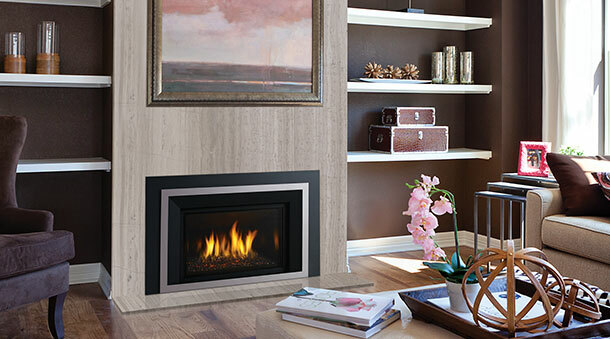 Gas inserts are designed to be installed into your existing wood fireplace. Whether it be a masonry for metal zc fireplace. It has it's own liner system that is installed into the existing wood chimney flue. It turns your in-efficient fireplace into a very efficient fireplace instantly. These units can easily heat 1,500-2,000 sqf. You can choose between a traditional log set or go contemporary with glass beads over the burner. Click the icons below to go to websites of the gas inserts that we sell.